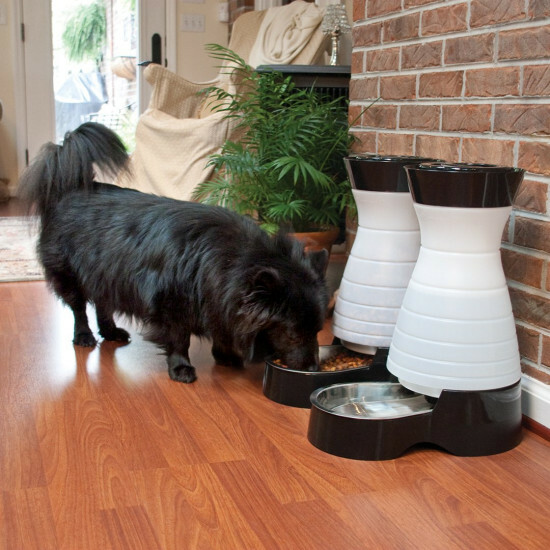 The PetSafe Healthy Pet Water Station will revolutionize your pet’s drinking water and your home environment. Your pet gets fresh water, whenever he needs it, served in a stainless steel bowl. Refill the reservoir with water and watch the bowl automatically fill up with fresh, filtered water. For an even happier pet, use the optional Healthy Pet Water Filter™. 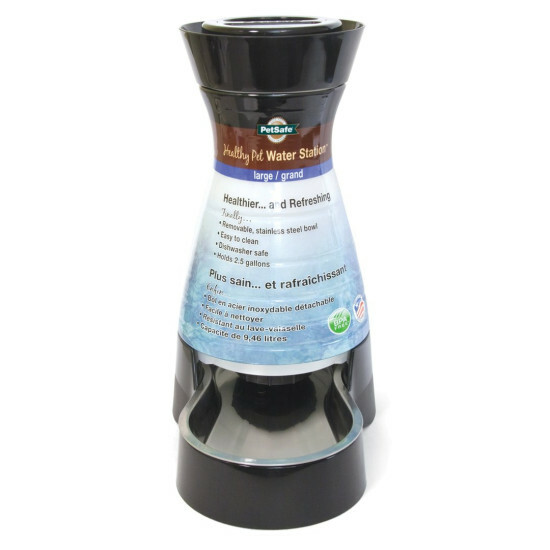 It removes sediments and odor for cleaner, great-tasting water. Fresh water encourages pets to drink even more. A better hydrated pet is a healthier pet. You’ll love the wide opening which makes it easier to clean by hand or with a cleaning tool. 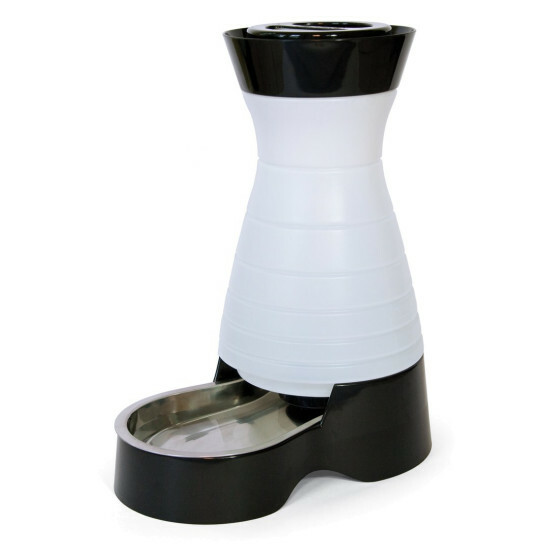 The Healthy Pet Water Station™ is also dishwasher safe, making clean up a snap. The Healthy Pet Water Station™ complements most home décor. With its space-saving footprint and modern style, it is ideal for kitchens, laundry rooms, garages and other indoor areas. Discover a healthier way for your pet to enjoy fresh, free flowing water. Station Size	 Water Capacity	 Calculate Refill Time: How Much Does Your Pet Weigh?